The Ohio Bank building, now named National City Bank is located at 405 Madison Avenue, Toledo and was completed in 1932. The building was designed by Mills, Rhines, Bellman & Nordholl and stands 368 feet tall with 27 floors. This Art Deco masterpiece was Toledo's tallest for 38 years. 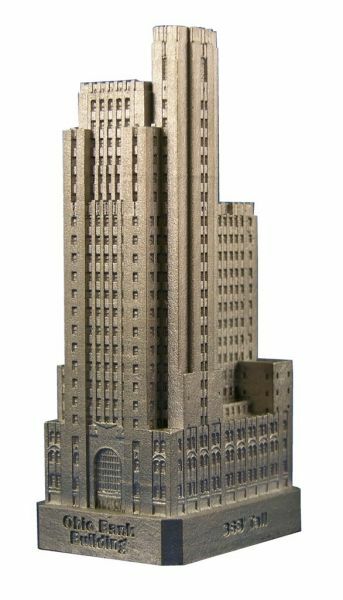 This souvenir building is 4-1/8 inches tall and is finished in new pewter.